Are you trying to do my head in. It's only 23rd today. I can't cope with having dates going missing AND an errant Elf on the Premises. Great colouring by the way. Hugs Muver. 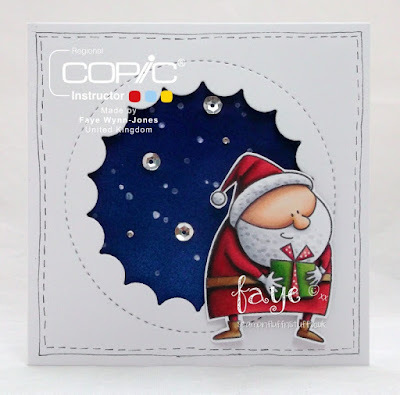 Gorgeous card Faye! Not only do I look forward to seeing your amazing cards and colouring, but you always make smile lots :-) Wishing you and your family a fab Christmas and a wonderful new year! 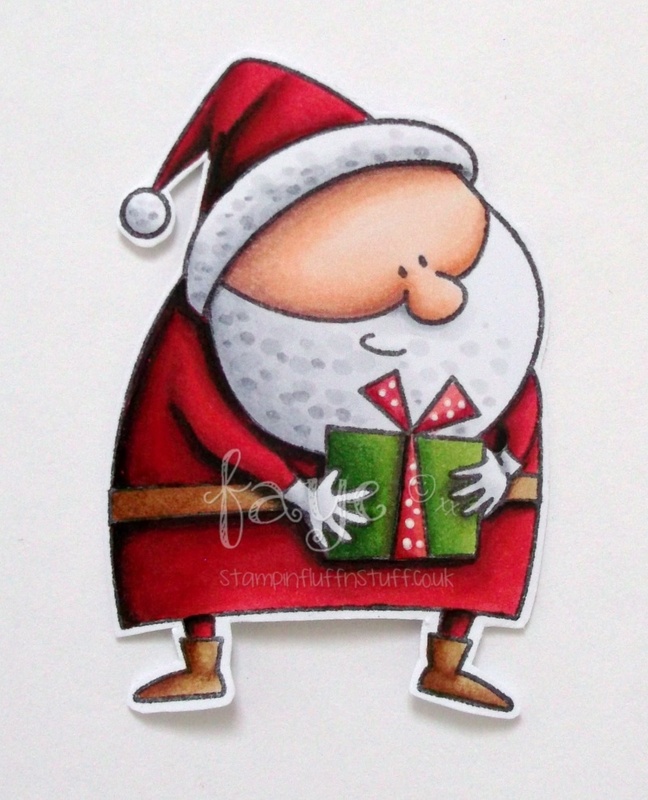 Fun Santa design and I do like your simple yet impressive background. Nice and clean! A gorgeous card Faye, love that santa.